After two catastrophic storms hit CT in 2011, Tropical Storm Irene and the October Nor'easter, the Commissioner of DEEP formed a Two Storm Panel. Two key recommendations followed:1) the formation of the Statewide Vegetation Management Task Force (SMVTF) and 2) research should be sponsored at the University of Connecticut addressing storm resilience. As it happens, some research was already underway. The UConn School of Engineering was developing a damage prediction model using incoming storm-weather data with the intent of informing utility companies where to expect the worst conditions. Mark Rudnicki, previously from the UConn Department of Natural Resources and the Environment, had been engaged for some time in research that examined the effects of wind on tree biomechanics. The SMVTF Report ultimately offered some good common-sense suggestions with respect to our roadside forests: retain our wooded roadsides, but also that the roadside forest needs to be different than what it is in most places. “The right tree in the right place” and trees having different shapes than what we are used to seeing (shorter, wider trees with crowns that spread in all directions rather than tall, crowded, narrow-crowned trees) are two key suggestions that could improve roadside forest storm resilience. See chapter five about the Future Roadside Forest, a precursor to developing the Stormwise pilot program. Some children and adults are unaware that in order to reduce tree hazards, protect other trees, or to get wood, it is necessary to cut trees. This book is intended to raise awareness of the issue. It also features tips for planting a tree. Why Would Anyone Cut a Tree Down? 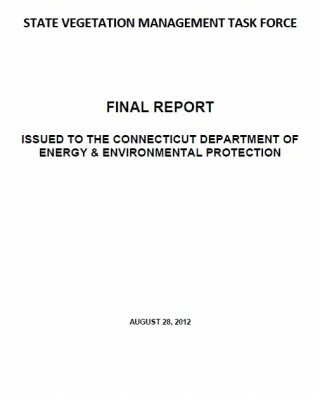 is a 41-page book published by the U.S. Forest Service Northeastern Area State and Private Forestry. It features 28 full-color, hand-painted illustrations. The book is intended primarily for 1st to 3rd graders, as well as parents and educators. 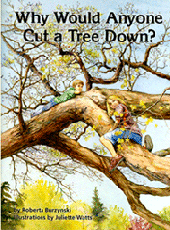 It was written by Roberta Burzynski and illustrated by Juliette Watts, two long-time Northeastern Area employees who work out of Newtown Square, Pa.
Why Would Anyone Cut a Tree Down? is available for sale through the Government Printing Office. 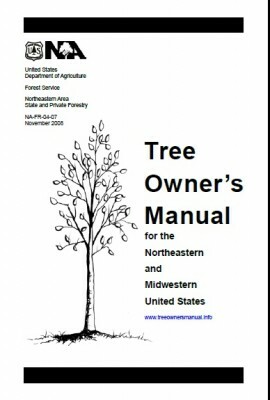 The US Forest Service, Northeastern Area, created the Tree Owner's Manual to guide individuals and communities on proper tree planting, maintenance, and care.